The Miracle Mineral Solution (MMS) is marketed feverishly as a miraculous alternative treatment for AIDS, hepatitis, malaria, herpes, tuberculosis, cancer and many more of mankind’s most feared diseases. The truth is that MMS is a dangerous poison, and as such it has no business whatsoever in the alternative health arena. Many people do not know that MMS is essentially bleach. It’s very effective for killing bacteria in toilets, but you certainly shouldn’t be swallowing it. The active ingredient in MMS is not a mineral, but chlorine dioxide (oxygenated chlorine), which is formed from the chemical combination of sodium chlorite and acetic acid (vinegar) or citric acid. MMS as a poison does kill intrusive germs in your body, but it would be naïve to believe it to be carefully selective in what it kills and destroys, or to think that the damage done has only limited consequences. It is shocking that MMS is recommended so widely, that it is recommended to already weakened individuals AND that it is recommended for long-term use. In truth, the potential long-term and dangerous side effects of regular MMS use should give anyone the shivers. Before we continue, an important lesson on oxidation and free radicals is needed to help us understand the long-term consequences of the use of MMS1 and its successor MMS2. This information is crucial to see why MMS is NOT an alternative health solution. Oxygen is an essential element that supports life, but in the wrong place or at the wrong time, oxygen can wreak much havoc on our cells, causing cancer, contributing to cardiovascular disease, degenerative diseases, and aging through a process called oxidation. You have seen the effects of oxidation whenever you have observed an apple turn brown and go bad after being exposed to air, or when you see the flame of a candle. We use oxygen in order to take electrons from the sugar and fat molecules that we use for fuel. The molecules we wish to keep intact, however, are subject to oxygen’s burning influence and they are at risk of losing electrons as well. The fire from a candle flame aptly illustrates oxidation in which the electrons of the candle wax are ripped off by oxygen in the atmosphere with the resulting, self-perpetuating release of light and heat. As oxygen makes its way through the body, many of its molecules lose an electron. This means that they become chemically unstable and highly reactive ions as free radicals are formed. These unstable metabolic by-products of energy production in cells strive to stabilize by ‘stealing’ a replacement electron from any neighboring molecule, leaving even more damaged molecules in their wake. This is how free radicals in our bodies are produced and cause inflammation, a process that is best known as oxidative stress or oxidative damage. Oxidation can even cause debilitating changes to your DNA. Depending on where this oxidative damage takes place, it can lead to any number of the following diseases: atherosclerosis (plaque in blood vessels), cancer, arthritis, cataracts, neurodegenerative disorders such as Alzheimer’s disease, autoimmune diseases, and many other health problems generally related to aging. Any free radical involving oxygen can be referred to as a Reactive Oxygen Species (ROS). A perfect example of a ROS is hypochlorous acid, which is now also known as Miracle Mineral Solution 2 (MMS2). Keep in mind that the loss of electrons from molecules whose integrity is vital to the structure of our cell membranes, DNA, skin or eyes results in damage and disease. Oxidation is the most toxic force affecting all the molecules of the body; it’s the enemy of youth, the ally of all diseases, and the fundamental mechanism of all injury, all aging, and eventually, of death . By now, you should understand why anti-oxidants are so important. Antioxidants help to counteract or neutralize the free radicals before they can damage our healthy cells by lending a hand (actually, an electron) when stabilization is needed. This is the reason why we are fond of so many antioxidants such as vitamin C, E, carotenoids, resveratrol, taurine, coenzyme Q10, and melatonin, to name but a few. Each person is exposed to oxidants and each one of us has a variety of antioxidant defenses and DNA repair ability. These factors together determine the extent of oxidant-induced DNA damage in each of us, and the levels of such damage may well contribute to cancer risk, especially in tissues where other changes may have already occurred. But keep in mind that DNA protection is essential not only to guard us from cancer, but also because in all of our cells, DNA carries our ancestral identity and the instructions and information that maintain our bodies. We might also wonder what other special properties could be lying dormant in our DNA. But for now, let’s get back to MMS1, which is basically the combination of sodium chlorite and acetic acid (vinegar) or citric acid which together form chlorine dioxide (oxygenated chlorine). The toxic effects of chlorine dioxide are associated with those of sodium chlorite – a very strong oxidant that at a dose of 10-15 grams is considered to be lethal. Even small amounts of about 1 gram can be expected to cause nausea and vomiting. Now get this: the MMS protocol suggests that taking up to 60 drops per day is within reason. There are 20 drops in one gram, which means that the protocol may call for the ingestion of 3 grams or more of what amounts to household bleach. This is three times the amount required to produce nausea and vomiting and 20% of the amount required to kill you . Even though we are told that nausea and diarrhea are positive signs of detoxification when following the MMS protocol, you can be sure that they are actually the way our body tells us that we’ve just been poisoned. If you happen to vomit, then be reassured that it might have saved your life by way of avoiding a lethal overdose of MMS! There are in fact several testimonials of negative side effects and at least one death related to MMS which you can easily find on the internet . The popularity of MMS and its fervent, almost religious marketing involved the claim of curing malaria in tens if not hundreds of thousands of people. Sounds very noble indeed, but this is only natural as MMS’ sodium chlorite is well known to cause hemolysis in red blood cells – meaning that red blood cells are ruptured and destroyed. It is actually by killing red blood cells that the malarial parasite is killed since it invades red blood cells. MMS probably kills the parasite and the red blood cells. In fact, MMS consumers may develop anemia. MMS really does sound like a dangerous allopathic drug, similar to antibiotics or chemotherapy. Why is it that we don’t see many efforts to remove this poison from the market when in recent times there has been a push to remove healthy vitamins and antioxidants by agencies like the FDA and Codex? MMS is more of a killer than antibiotics and has the potential to kill all kinds of microbes including viruses. Such a killer weapon has other consequences for your body, and killer therapies should never be the first course of action when dealing with disease. They should never be an option when we are able to take control of our health through diet and appropriate, real alternative health therapies. Let us review some safety data sheets of MMS ingredients: Chlorine dioxide is a strong oxidant, and as such it reacts violently with combustible materials, mercury, ammonia, sulphur and many organic compounds . Sodium chlorite is a strong irritant of the skin, eyes, and respiratory tract; a strong oxidizer that promotes combustion; concentrated solutions may be corrosive to the skin and eyes; mild hemolytic anemia and increased methemoglobin in males was observed in animal feeding studies . Acute health effects of chlorine dioxide: ingestion is not a normal route of exposure (except thanks to MMS! ), harmful if swallowed, can cause irritation to mouth, esophagus, stomach, and mucous membranes (hence, the diarrhea, nausea and vomiting!). Eye contact: contact causes redness, irritation, pain, blurred vision, tearing, corneal injury and burns. Inhalation: harmful if inhaled, coughing, headaches, labored breathing, nausea, shortness of breath, pulmonary edema. Chronic health effects: may have effects on lungs, resulting in chronic bronchitis and permanent lung damage . In short, MMS should NEVER be a health treatment, alternative or otherwise! Now here is where things get even more interesting. Enter MMS2, which works more subtly and therefore more dangerously than its predecessor. MMS2 is basically calcium hypochlorite, which is a chemical compound widely used for water treatment and as a bleaching and disinfecting agent (bleaching powder). This one is indeed a mineral, but a mineral that reacts to produce hypochlorous acid when ingested. Hypochlorous acid (HOCl), which is a combination of hydrogen, oxygen, and chlorine, is what some of our white blood cells produce in order to kill bacteria through the well-known process called oxidation. HOCl is a powerful oxidant indeed, and as I mentioned before, it is the perfect example of a hazardous reactive oxygen species (ROS). Just as with MMS1, pathogens can’t develop a resistance to MMS2 and this is related to the powerful free radicals that it liberates. Sound good? Well, not really. MMS2 is meant to create high concentrations of this dangerous oxidative hypochlorous acid in our bodies in order to kill ‘powerful and incurable’ diseases, or so it is claimed. Unfortunately, the amount of HOCl that our body is already capable of producing on its own is dangerous enough. In fact, some of our white blood cells have toxic and damaging effects on our DNA through the formation of hypochlorous acid [6, 7]. What is more, antioxidants are being studied and used successfully to block hypochlorous acid from creating DNA damage [7, 8, 9, 10]. Yes, DNA damage! This is dangerous to the extreme! Another way in which MMS2 can cause damage is through activation of ‘evil’ transcription factors. Free radicals such as hypochlorous acid and other toxins may cause transcription factors to initiate a series of genetic reactions that result in cancer. Transcription factors are proteins that facilitate gene expression – that is, they cause genetic material to do something. A particular transcription factor, NF kappa B, is influenced by free radicals or toxins which usually activate it. Once activated, this transcription factor goes into the nucleus of our cells where our DNA resides and may activate genes that might change a potentially malignant cell into an absolutely malignant cell . Hypochlorous acid (MMS2) activates this infamous NF-kappa B transcription factor, especially in the absence of antioxidants like taurine [11,12]. NF-kappa B has also a crucial role in inflammation, and thus ultimately it induces illness. That MMS2 is promoted as a cure for cancer and many other illnesses is just plain baffling. But that’s not all, folks. It gets worse! In fact, hypochlorous acid (MMS2) has the power to chlorinate the building blocks of DNA, breaking the DNA double helix apart and thus interfering with its vital biological functions . By the way, the new airport security scanners can break apart our DNA’s double helix as well . Do we see a pattern here? Some claim that hypochlorous acid is hazardous only to intrusive germs, but there are actually studies that have determined that the properties of hypochlorous acid that make it such a potent bug killer agent can damage our bodies by the same mechanism used to destroy the invading pathogenic bugs . One such study could not have a more appropriate name: “Living with a killer: the effects of hypochlorous acid on mammalian cells . It has been well documented that there are a variety of disorders tied to the deleterious effects of hypochlorous acid in our bodies including diabetes, obesity, depression, hypertension, gout, kidney failure, and autism, among other conditions . This makes sense in view of our brief review of oxidation: wherever there is oxidative damage, there is disease. What is more, our brains have a high oxygen demand, and thus are particularly sensitive to oxidative damage. So it doesn’t come as a surprise that our mind is often the canary in the coal mine. We often notice our body’s first inflammatory effects through brain fog, memory problems, and insomnia. Hypochlorous acid has the potential to be extremely neurotoxic to our brains, where it literally oxidizes certain lipids and proteins, preventing them from performing their functions and contributing to neurodegenerative disorders like Parkinson’s disease, Alzheimer’s disease and Multiple Sclerosis . In addition, hypochlorous acid can be very dangerous in certain settings . Its strong oxidative power makes the chemical very dangerous, because it can become explosive when combined with certain substances. Adding acids to a hypochlorous acid solution will precipitate this process, making the mixture unstable, releasing chlorine gas, and potentially causing an explosive chemical reaction. The compound needs to be handled carefully because it can release dangerous chlorine gas if mixed with seemingly safe household products. Chlorine gas can cause considerable health problems or death, especially in poorly ventilated spaces, which is one reason why it is inadvisable to mix household chemicals like bleach at random. Further complicating this tragedy, MMS is now being promoted with the use of DMSO . DMSO (Dimethylsulphoxide) is a solvent which enhances the availability and effectiveness of many drugs throughout our bodies, thus potentiating their effects. It has the capacity to distribute a drug deep into our bodies. The worrying thing is that DMSO also very easily crosses the blood-brain barrier. This property is exactly why DMSO is widely used as an effective transporter of certain substances into our brains that may not otherwise cross the mentioned barrier . Even though DMSO by itself is a powerful antioxidant, keep in mind that it has the ability to potentiate and carry a dangerous poison such as MMS1 and MMS2 into the brain. By now, I hope that it is clear why this is a very, very bad idea. Please give this article to any MMS consumer. 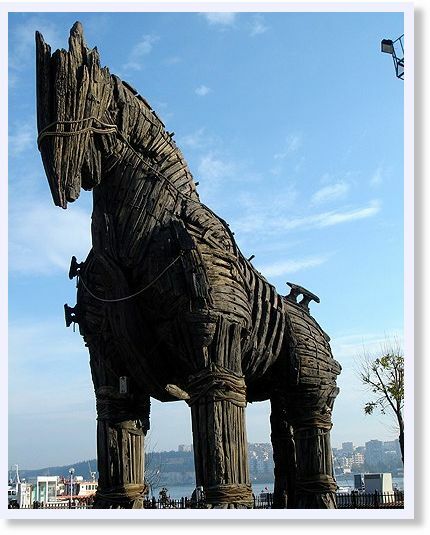 They have the right to know what is going on within their bodies – and DNA – when they take this Trojan Horse! These products should never be ingested. Indeed, the FDA warned consumers of serious harm from drinking MMS. The warning was probably already in the making and went out after this article was published in issue #10 of The Dot Connector Magazine. Thank you for the feedback. I’m sorry to hear about this. I know someone who nearly died after taking MMS and it was thanks to the Vitamin C that she is alive. She took around 50 grams of vitamin C that day. You can buy vitamin C (ascorbic acid) and give 2-3 grams every hour until there is a stomach gurgle, that will help him detoxify. The body will accept as much vitamin C as needed, when it is too much, there will be diarrhea, so one stops when there are stomach gurgles. Hi! I have recently read your article and the responses to it. I am very curious about MMS. I have heard such mixed opinions about it. Another holistic Dr. who I respect has spoken highly of this product, and has used it himself. He also incorporates oxone treatments into his work, which seem to have a similar effect as the MMS, and he has helped a lot of people using this method. I have used MMS, and have had great results. The first time I used it, it helped me to heal within hours of a flu nearly turning into bronchitis. The second time I used it was for a sinus infection, which it healed in hour as well. I only needed to use 3-5 drops, which is nothing compared to 60 drops. Jim Humble, who discovered using MMS to heal others, advocates using only 3-5 drops. I have not heard of using 60 drops a day. I have spoken to others who used it for herpes, Swine flu, and other viruses and others who have used it to heal from cancer. How can this product cause cancer when it is helping others heal cancerous cells. I am asking because I would like to know the truth. It sounds like those who have gotten really sick from it have used too much of it or ODed on it instead of following the recommended protocol. Why is it that this product is helping so many people if it is so toxic? Questioning, we have had reports of people having death threatening symptoms with only ONE drop. Something like that is not safe, period. There are other real alternative therapies which can help for herpes, swine flu, other viruses, cancer, etc. that are based on real science and repeated testimonies with no signs of toxicity. For instance, dietary changes, vitamin C,sulfur containing compounds, etc. No need to use more toxins, we are already overloaded! i’m not sure but this is another opinion and FDA proofed. I’m so sorry to hear about this. You should find an integrative, holistic or orthomolecular health care provider. Even if they don’t know about MMS, they would be able to help you detoxify and provide guidance as to which steps to take so your body can heal and recover. You’ll need to go on a healing diet and also take nutritional elements like vitamin C, B-complex, magnesium, multivitamins and minerals, omega 3s, digestive enzymes in supplementation. And also some 5-HTP and/or melatonin to help you with your mood changes and sleeping problems (I’ll upload an article about 5 HTP very shortly). Some prefer healing herbs, but my experience with them hasn’t been as good. I’ve seen people come back to life with high doses of vitamin C though. One person in particular nearly died after taking MMS. The vitamin C in megadoses literally brought this person back to life. The diet is meant to calm down the inflammation in your body. Here is a diet that would work for this purpose: http://eiriu-eolas.org/forum/viewtopic.php?f=7&t=14 That forum thread does provide a very useful guide. What we eat is very important to recover health. There are foods that are difficult to digest, that increase gut permeability and that are inflammatory. They should be gone, at least for a period of time while you are recovering. I trust that with the proper food and supplementation, your body will thrive. Each one of us is different, some may handle toxins better than others. Some may get sick after a long period of time, others have immediate reactions. We have great healing and regenerative capacities, but the toxin burden in this world is great and it may tip off causing health problems any given time we cross a certain limit. You probably crossed that limit with the MMS, and even when it is out of your system, you’ll need some time with anti-inflammatory foods and healing supplements in order to recover. I’ve seen very bad reactions to MMS in vulnerable people, for instance pancreatic damage. But they had recovered with the appropriate measures even if it has taken a long period of time. Some cells in the body take several months to regenerate, so be patient with the recovery process. See it is an opportunity to make necessary changes that would benefit your health, a change in lifestyle. While you find another health care provider, see if you can start doing dietary changes. That would be of great help. Also, get and read “Detoxification and Healing” by Sidney MacDonald Baker, M.D. It is very practical and concise book and it is packed with exc information. You can give this article to your doctor if necessary, and you can keep me updated. I hope the best of the recoveries for you. This patient might want to consider immune support, with such things as vitamin C (as already mentioned), the herb “Gotu Kola” and an adrenal glandular, such as “Drenatrophin” from Standard Process, and also some chiropractic care, as a healthy spine will tend to insure that internal organs are functioning correctly. and that stress is minimized. My best recollection is that one product is an “alkalinizing solution” (probably harmless, but grossly overpriced) and another is a “Miracle Mineral Solution.” Obviously, I’ll have to do some follow-up on this. THANKS. Hi was searching for info about panic attacks after/during taking MMS and saw your post from 2010. I have the exact same problem as you after using MMS for 2 months this summer for lyme disease …now i am on ativan or xanax, but I also have become sensitive to many things now- like supplements, ab’s, I have no trouble sleeping , but as soon as I awake I am in overdrive and need a ativan…..Did u find an answer or anything to help balance things out? I thought when I stopped the MMS it would go away, but it got worse! Thank you— I hope u r better. Both books are short, straight to the point, and they also have menus. Diet is the single most important thing you can do to recover your mood and health. Everything else is “supplementary”. If you you change your metabolism with a physiological diet, your brain and mood will stand a good chance of recovering. Do check it out, it can save your life. All the best. After over half a billion eggs were recalled from two factory hen layer operations in Iowa, New York lawmakers proposed mandating vaccines against salmonella. Mainstream media then blasted this message across the world. As the world’s largest producer of poultry  and second largest exporter , the US continues to hammer Russia about its embargo of chlorinated chickens. Home to the biggest pharmaceutical and chemical companies in the world, the US is fond of throwing drugs and chemicals at a problem instead of addressing the filth of factory farms. “Increases in shipments to Mexico (26%), the Baltic States (60%), Newly Independent States (including Belarus, Ukraine, Armenia, Azerbaijan, Georgia, Kazakhstan, Kyrgyzstan, Moldova, Tajikistan, Turkmenistan, and Uzbekistan) (155%), Philippines (310%), Korea and Hong Kong (174%), and Japan (181%) all rose beyond last June’s shipment volumes. In a single month, the Ukraine increased imports from one million pounds of poultry to almost 30 million. The difference in taste and texture between chlorinated, drugged chicken and organic, fresh chicken is obvious. Since proper cooking kills salmonella, and thorough cooking kills salmonella, why vaccinate the hens? The massive hype from corporate media about the need for more drugs in the food supply can only serve to generate profits for Big Pharma. On September 16, you can listen to an hour-long webinar on “Superbugs, Super Problems: Agricultural Antibiotics and Emerging Infections.” The program starts at 1 pm EDT. You must pre-register. Three of the speakers recently testified before Congress on the issue. As Russia weighs the benefits of cheaper, but chemically and biologically contaminated chicken from the US versus safer, locally raised poultry, it should consider its superior position. Not a part of the World Trade Organization, Russia does not have to sacrifice quality and can force the US to clean up its act. Half of all US exports to Russia comprised chicken – amounting to $900 million in 2008. That’s a hefty bit of leverage. Erin Durkin, “New York pols push for bills requiring salmonella vaccination for hens after egg recall,” New York Daily News, 30 Aug 2010. The Poultry Site, “Global Poultry Trends – Americas Are Largest Producer and Exporter of Chicken,” July 2010. Economic Research Service, “Poultry and Eggs: Trade,” US Dept. of Agriculture, 16 Apr 2009. Meat Trade News Daily, “USA – What a pitiful indictment on USDA,” 31 Aug 2010. Russia Today, “End of U.S. poultry imports leaves onus [on] domestic producers,” 15 Jan 2010. Reuters, “’Technical Issues’ Keep U.S. Poultry Sidelined,” 5 Aug 2010. Dmitry Solovyov and Roberta Rampton, “Russia to partly lift chicken ban; US wants more,” Reuters, 13 Aug 2010. Greenpeace European Unit, “Greenpeace reactive statement on chlorinated chicken decision,” 28 May 2008. Also see: EurActive News, “Outrage at plans to lift ‘chlorine chicken’ ban,” 29 May 2008. Rachel J. Johnson, “Livestock, Dairy, and Poultry Outlook,” USDA, 18 Aug 2010. European Food Safety Authority Scientific Panel, “Treatment of poultry carcasses with chlorine dioxide, acidified sodium chlorite, trisodium phosphate and peroxyacids,” EFSA Journal (2005) 297, 1-27, 6 Dec 2005. H. M. Cunningham, G. A. Lawrence, “Effect Of Exposure of Meat and Poultry to Chlorinated Water on the Retention of Chlorinated Compounds and Water,” Abstract. Journal of Food Science, Volume 42, Issue 6, pages 1504–1509, November 1977. Marc Thibault, “European consumers organizations and farmers fight chlorinated chicken,” Green Age, 18 Jun 2008. US Department of Agriculture, “Export Trade Booming for Livestock and Poultry,” Aug 2010. United Poultry Concerns, “Catching, Transport, and Slaughter ,” n.d.
 Betsy McKay, “FDA, Vaccine Manufacturers: No Worries of Salmonella From Flu Vaccines,” Wall Street Journal, 30 Aug 2010. William Neuman, “U.S. Rejected Hen Vaccine Despite British Success,” New York Times, 24 Aug 2010. World Poultry, “Vaccines could have prevented US Salmonella egg recall,” 25 Aug 2010. Consumer Reports, “Chicken: Arsenic and antibiotics,” July 2007. The Preservation of Antibiotics for Medical Treatment Act. Union of Concerned Scientists, “Progress Curtailing the Use of Antibiotics in the Feed and Water of Animals,” n.d.
 Health Care Without Harm, “Protect Antibiotics Action Center,” n.d.
 Dan Flynn, “Russia Bans U.S. Poultry Over Chlorine,” Food Safety News, 7 Jan 2010. Kate Sheppard, “Is Gulf Seafood Really Safe?” Mother Jones, 17 Aug 2010. Leah Zerbe, “5 Reasons Why Chickens Belong in Your City, Town, or Neighborhood,” Rodale Institute, 1 Sept 2010. That is an interesting article, thank you Hula. Since clinical data on mms and its precise chemical breakdown are sketchy, I’ll have to remain undecided. I have taken it for a week in small doses and it did make me feel ill. It also saved my dog’s life 3 times. Dog had congestive heart failure after chemical heartworm treatment and was better in a few days. Then dog had breast cancer,…twice. Twice the cancer rtreated and has been gone for over a year. Then again dogs can generate massive quantities of Vitamin C.
Since our own immune system works on oxidation to rid pathogens and toxic molecules I would not be so quick to condemn mms. Mega dose Vitamin C, hydrogen peroxide, ozone, HBOT treatments may be safer but mms is powerful and should be considered for last ditch efforts. Dr. Segura has wonderful information, her radiocativity protocol is a prescription for health. It can reverse any disease because it alleviates oxidative stress,…the root cause. For a better idea of what I’m talking about see http://www.forbiddenhealingforum.com. See comments; A Redox Approach. Thanks for the input Capt.Randall. People do have to keep in mind that some almost died with one drop of MMS when trying to kill bugs with MMS. MMS is really not an alternative natural treatment. It works more like allopathic medicines will do. I am MMS user for 3 years. On and Off, only as needed. Never over 6 drops. It go rid of my gastritis on third day. I used Nexium for several years before that! It got rid of my never ending sinus infection after a week. It cleared pain in my tooth twice. It got rid of my co-workers abscess in his tooth. And it cleared gastritis in another co-worker, also on prescription meds. Had Appendix like symptoms- all of them, except womiting, it helped me in 45 minutes. Couple of weeks later had another episode, but milder, again, 45 minutes later all gone again and no problems since. I don’t get sick anymore as long as I take it twice a month. I was out of MMS for 3 months and guess what! I got sick with flu like symptoms, sore throat, and ear pain. Orded more MMS but went on antibiotics but after 3 days I felt really bad so I started MMS again and feeling good. This stuff works and I don’t care what enybody says. You just have to be careful in preparation and dosing. It sounds like you are very sick if you have to take a powerful oxidant to keep bugs at bay. I thing in the long run you’ll benefit much more from strengthening your immune system with simple detoxification, diet and meditation. Health should not be defined by having a toxic chemical in your body – it should be the exact opposite! Taking MMS regularly is akin to taking antibiotics for the rest of your life without considering the long-term damage it will cause. Its now November of 2018. Just wondering if you’re point of view on MMS has changed. It seems the internet is abundant with many peoples account of how MMS has helped them. I know it has helped me in the past. Dr. Andreas Kalcker has done an immense ammount of research on it and much of what he has to say about it seems to contradict all of what you claim MMS to be. I’ve been using MMS for years… actually, I’ve been using CDS, which is the gas form. It’s much safer. The reason why people have bad reactions to MMS is because the solution has incompletely reacted, so they are ingesting the reagents, which are toxic. Chlorine dioxide is incredibly safe in titrated doses. CDS the reagent problem by combining the reagents and then running the resultant gas through distilled water. All you’re left with is pure chlorine dioxide gas in solution, which you take drops of. 1mL = 1 drop of classic MMS, without any risk of unreacted reagents in it. I’ve used CDS to get over serious infections that nothing was stopping, not even modern antibiotics and strong herbal antimicrobials. The internet is full of incorrect propaganda on this substance. This blog post itself is filled with inaccuracies.